Kevin Woods doesn’t say much before the race; mentally, he’s already on the track. The engine is running. Woods gives a thumbs-up to indicate that he’s ready to hit the track. Just close up the safety net and he’s ready to go. 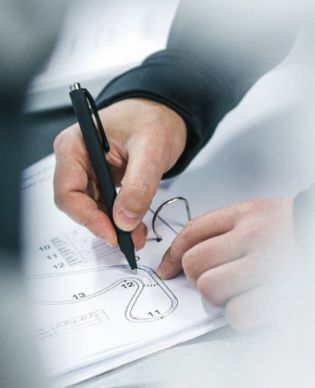 In the theoretical part of the program, participants work together with the instructors to draw their ideal line, braking points, and the respective gear on the track layout. In three minutes, they’ll be under way on the first lap behind the safety car, followed by the simulated start. Brand ambassador Mark Webber analyzes the evaluated data with the participants. The reference laps of the instructors are compared to those of the participants on the monitor. 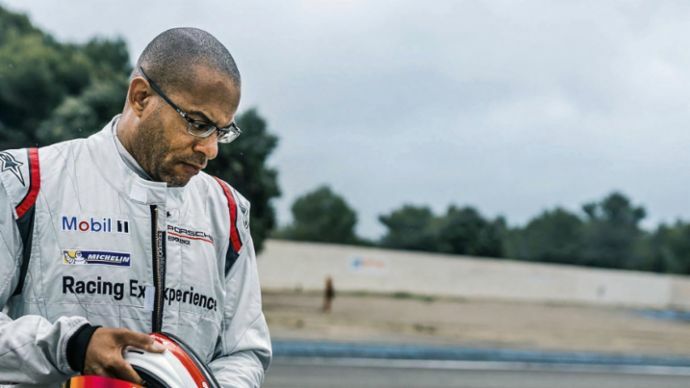 “It’s the perfect way to get started in motorsports, using a goal-oriented approach with professional support,” says project manager Frederic Klein. 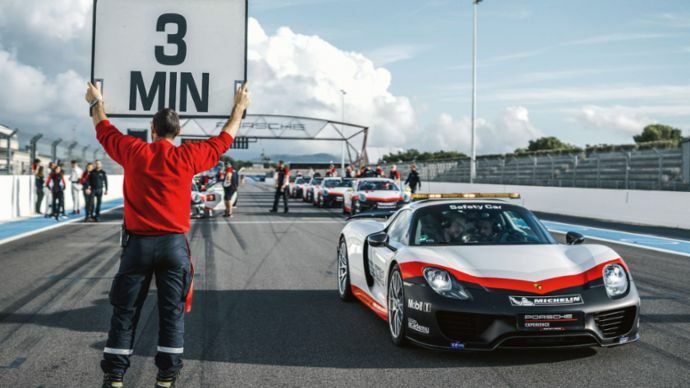 Porsche has been offering racetrack training for years with their program Track Experience. 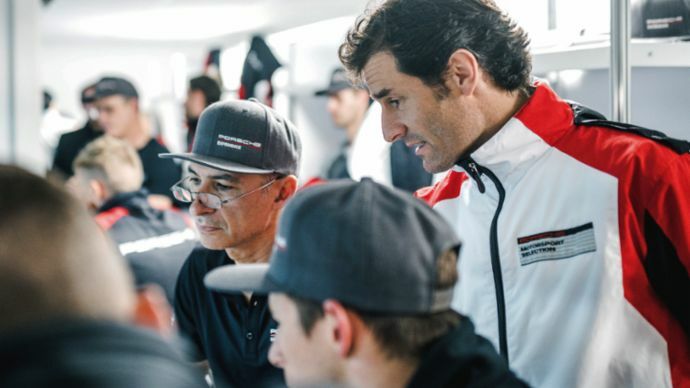 In the autumn of 2017 it launched Porsche Racing Experience—“the perfect way to get started in motorsports, using a goal-oriented approach with professional support,” says Frederic Klein, who shares the project management of Porsche Racing Experience with Paul Gregor. 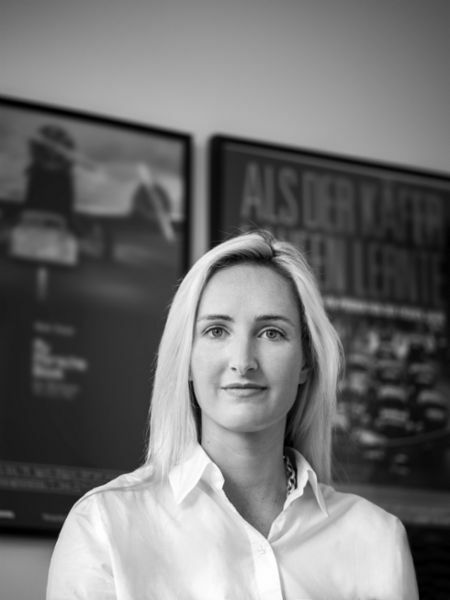 The targeted scouting and development of motorsport talent, among Porsche customers as well, is a principle of the Stuttgart-based sports-car manufacturer. 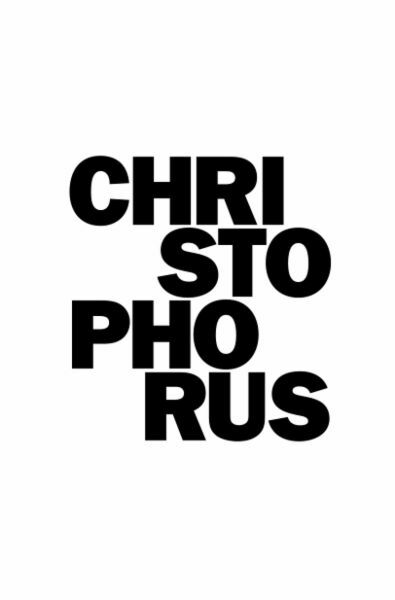 And that dedication has brought forth world champions and Le Mans winners. Talent is one part of the equation. Drive, hard work, and perseverance are the other. 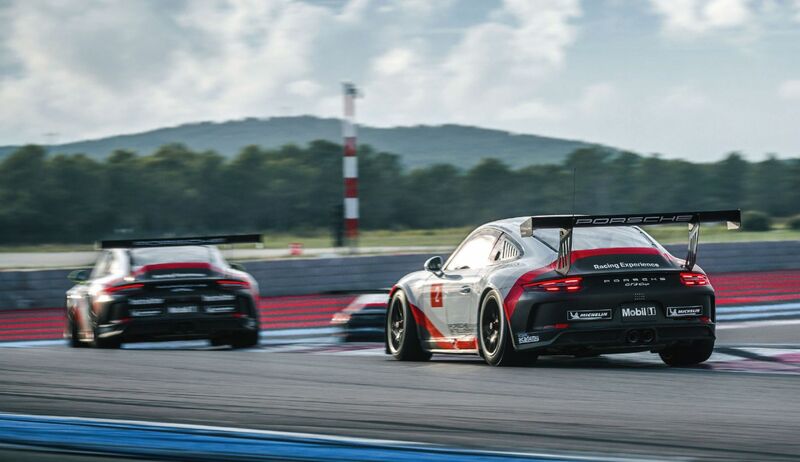 In Level 1, Porsche Racing Experience aims to prepare recreational drivers for their first racing season by, for example, obtaining their international D racing license. 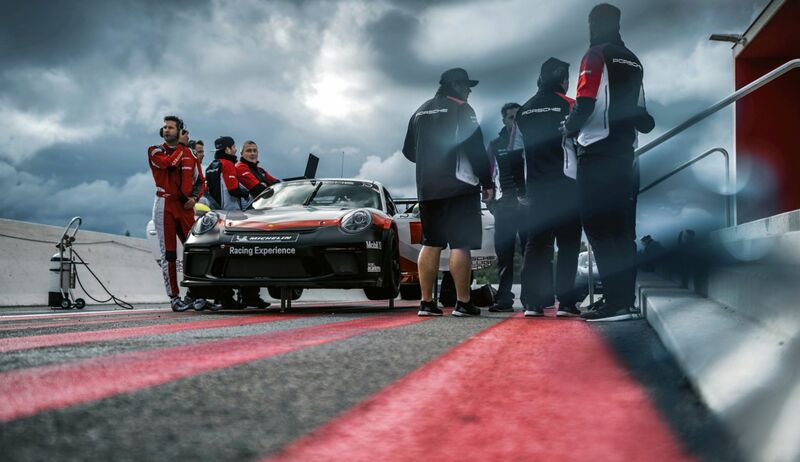 The course includes a track walk, physiotherapy, mental coaching, and vehicle technology instruction as well as safety-car training, passing maneuvers, intensive data analysis after each session, and simulation of a final race. 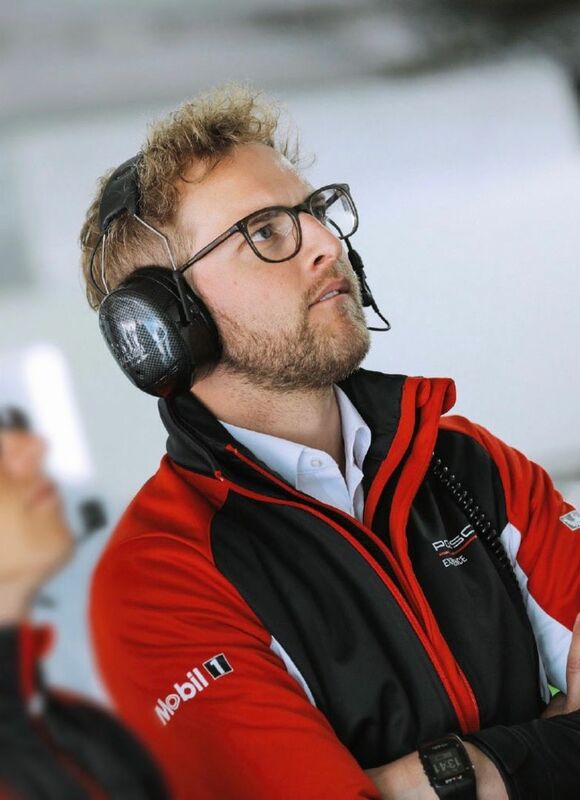 Chief engineer Felix Stiller pulls his laptop from the roof of the car and walks back to the track office, where he evaluates the data from the race cars in a matter of seconds: water temperature, oil pressure, brake pressure curve. 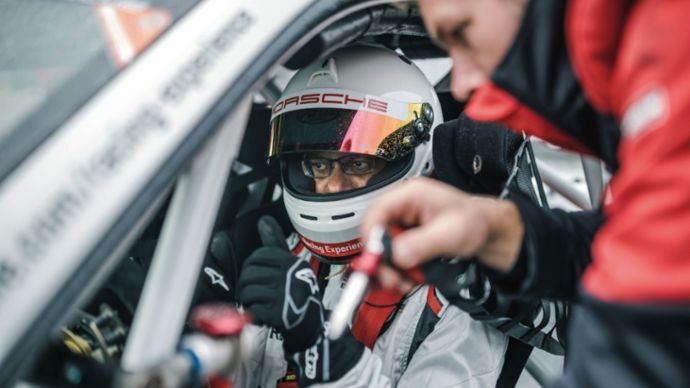 “The Racing Experience is the best way to progress from recreational driving to being a race-car driver,” says the twenty-eight-year-old. He spends most weekends of the year on the racetracks of the world. Laser sits next to him in front of four monitors and superimposes his reference lap on Woods’s. Participants learn the most from practical examples. “Kevin has experience in the Cup car and keeps a super pace,” says Laser approvingly. “He has a good feel for the car.” But today something’s missing to achieve perfection. “A bit slower into the curve and faster out. And steer as little as possible,” Laser advises his pupil. Woods knows all this. He nods. Participants learn how to brake properly right at the outset of the course. It’s Friday afternoon, day five, 14.8 degrees Celsius. The run-off areas, crisscrossed by black tire marks, are gleaming blue and red. Together with the red-and-white-painted curbs, they engender an odd sort of harmony. A special asphalt cover layer with varying friction forces will decelerate the cars in case of driver error. 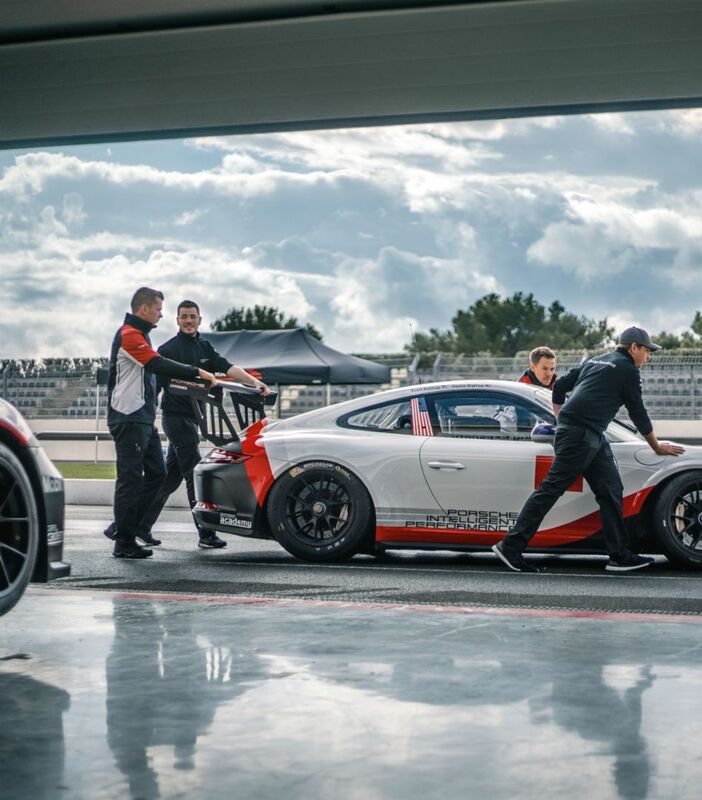 It all makes Circuit Paul Ricard one of the safest racetracks in Europe. Now comes the moment for which Woods and the fifteen other participants have worked so hard. The nerve-jangling corner awaits. The race begins.